The summer I moved in to this particular casa az, back in 2002, my dear Toronto friend Darlene’s darling daughter Adrienne came to stay with me for the second time (she’d also stayed with me one summer when I lived next door) but this time she was with her boyfriend Greg. And well, they were both great fun to have around, though I didn’t see them that much as they were doing some other travelling around, including a trip to Lisbon. 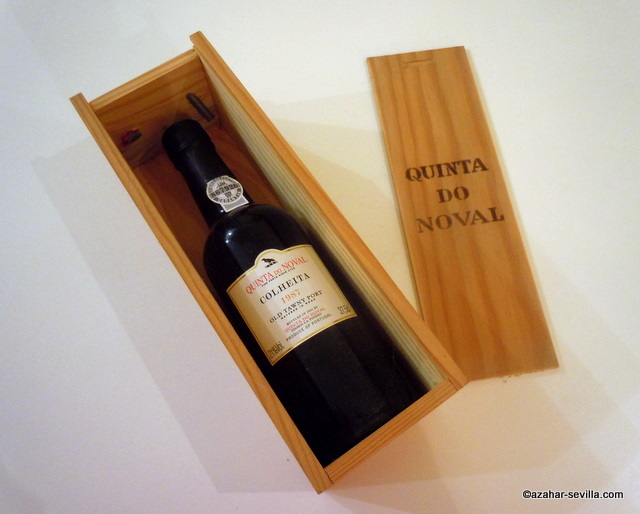 And when they came back they brought me this beautifully boxed 1987 Quinta do Noval old tawny port, which I later found out was actually something very special, even back in 2002. 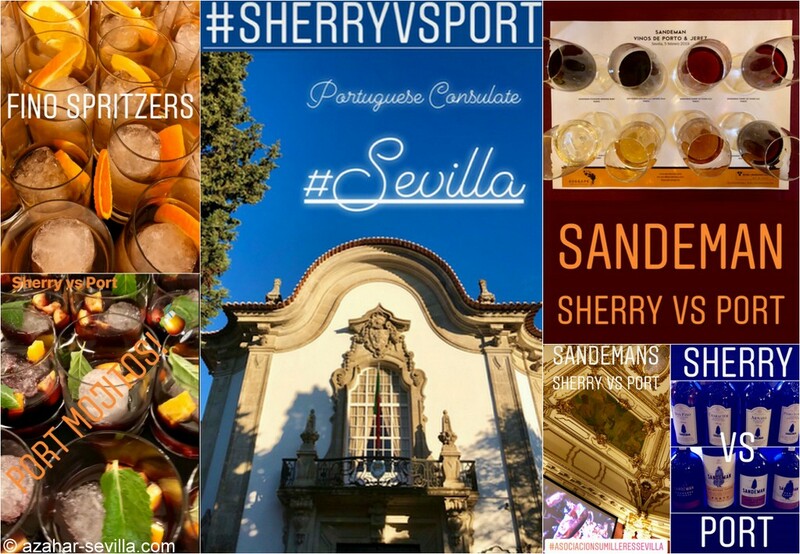 I happened to mention this port when I was hanging out with the Hackney Gang this past September (staying at Clare & Joe’s) and I swear Joe started gasping on the spot. Me? I know nothing about port and so I felt bad that I hadn’t brought it along as an additional thank-you gift, though I also wasn’t sure how well it had held up after spending eight years in my wee wine rack in all kinds of temperatures. I mean, perhaps it wasn’t even drinkable anymore. But that “missed opportunity” stayed in my mind, so that when London-based travel-writer Jill and her husband Tim came for a quick visit in October I asked if she had room in her suitcase to bring back this port for my friends. I then checked that one of the gang worked close enough to Jill’s to be able to pick it up without too much difficulty and so Clare spent one lunch hour going to get what she thought was something for me. Ha. 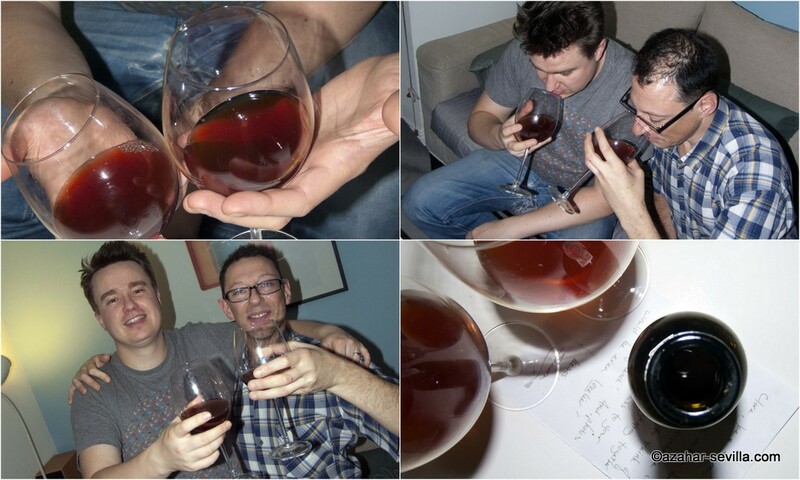 Then yesterday I received these pics, showing Joe and Simon (Clare was behind the camera) enjoying the port, which Joe said was a bit cloudy but still very drinkable. Made me feel like I was there, though also a bit homesick for Hackney and my friends.